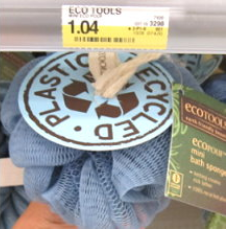 Hurry and print this new $1/1 EcoTools coupon to score an awesome deal on their bath sponges at Target! NOTE: A big ad prints before the coupon :( Also, some people have found these sponges at Walmart for $0.97, so bring this coupon with you on your next trip and you may score some overage! Thanks, Coupon Katarina for the photo!